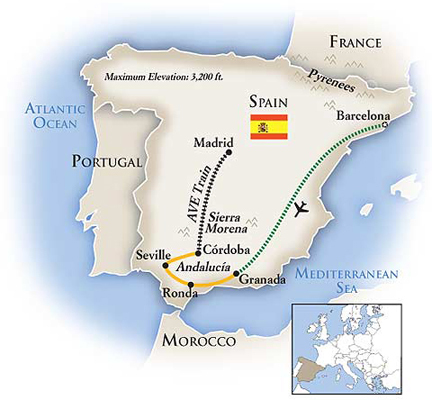 The second largest country in European, Spain has a proud tradition of hospitality and distinct regional cultures. The mountains of Catalan and the plains of Seville have their own unique charms. Whether a savory paella or a sensual flamenco dancer, Spain has excitement to spare. Barcelona’s distinguished design tradition, grounded in the works of native son Anton Gaudi, informs every aspect of life in this stylish Catalan city. 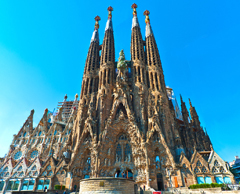 Attractions include the Gothic Quarter, Las Rambles, and Gaudi’s La Sagrada Familia. In Madrid, the Prado Museum and the Plaza Mayor offer a glimpse of Spain’s glorious history as a preeminent European power. 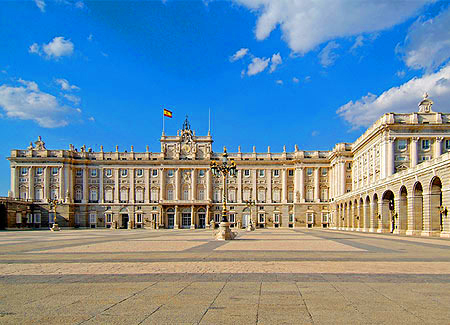 Tour the Royal Palace, stroll through Old Madrid, and relax in Retiro Park. Andalusia is known for lovely cities, architectural heritage and culture. Explore the cities of Almeria, Cadiz, Cordoba, Granada, Malaga and Seville to name a few. The Alcazar Palace of Seville bespeaks the eight centuries of Moorish rule that left an indelible mark on the arts and sciences of the Iberian peninsula. Experience the city’s legendary tapas bars and flamenco clubs. 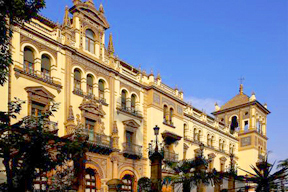 Discover the country’s rich cultural heritage in Barcelona, Granada, Seville, Córdoba, and Madrid. Enjoy a private flamenco performance, a horse-drawn carriage ride to Seville’s famous cathedral, a guided tour of Madrid’s Museo del Prado and much more. If you have just one week for a Spain vacation, this should be it! 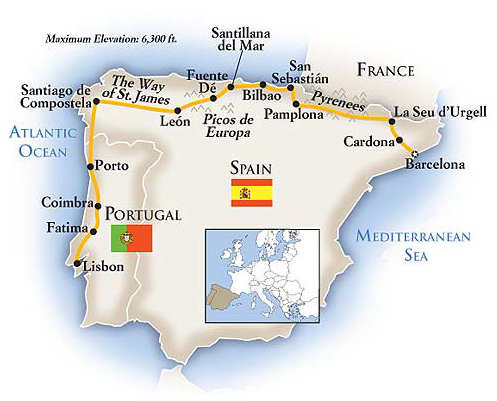 A comprehensive Spain and Portugal tour reveals the scenic and cultural contrasts of the fascinating countries sharing the Iberian Peninsula. Explore Portugal’s capital of Lisbon and the UNESCO World Heritage Sites of Sintra and Evora, and savor the best of Spain in Seville, Toledo, Granada, Córdoba, Madrid and more. 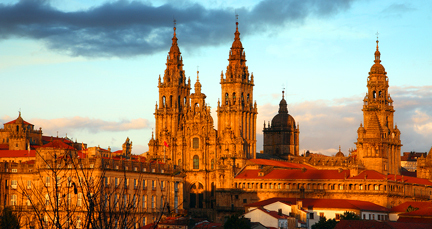 Explore the mosaic of diverse regions and cities of the north on this most unique of Spain tours that includes a taste of Portugal. Discover Catalonia’s distinct culture and proud traditions; the fiercely autonomous Basque region, with its own unique culture and language; and Castile, central to Spain’s medieval history. Enjoy overnight stays in historic paradors – restored palaces, monasteries and castles – and special experiences including a choice of spa treatment or cooking demonstration at El Castell de Ciutat; a visit to the monastery atop Montserrat; a wine tasting and dinner at a Porto winery, and a cruise aboard a Rabelo boat.